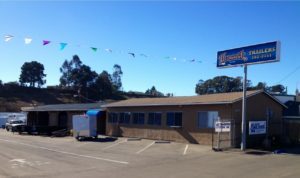 Heacock Trailers and Truck Accessories was originally established in 1939 and is entering its 80th year of quality service in California. Today, we are a fourth generation, local family-owned business founded in the belief that our customers deserve superior products and friendly service at the best prices. We strive to exceed your expectations. We supply the Central Coast’s broadest selection of utility trailers, horse trailers, trailer hitches, towing systems and truck accessories. We feature the highest quality products from a variety of American manufacturers. Our spacious trailer lot and truck accessory showroom regularly inventories over 60 trailer models including Auto Haulers, Enclosed Utility, Open Utility, Flatbed, Dump and Horse Trailers. If you have something special in mind, we can custom order any trailer model to meet your needs. We also provide everything for your towing needs including gooseneck, fifth wheel and receiver hitches, tow bars, and trailer hitch wiring. All of our products, including our extensive line of after market truck accessories, can be installed at our service shop. Our full service shop is equipped to perform repairs, installations, customizations and welding. We regularly service all types of vehicles, recreational vehicles, and towing systems, even if they weren’t purchased at our business. Our service specialists perform top quality work and will make sure you are completely satisfied.